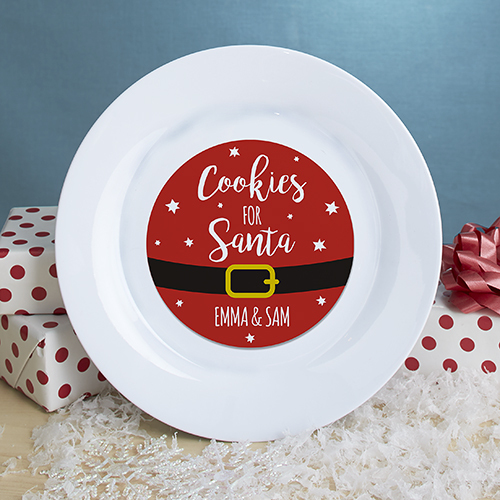 Thrill Santa when he comes down the chimney with cookies on this Personalized Cookies For Santa Plate. Created with any one line message, let Santa know you are glad he came to your house this holiday season! So cute with a round red Santa Claus reminiscent design and a sprinkling snowflake stars.